The Lynch camp is a group of three cabins on the south edge of the island. 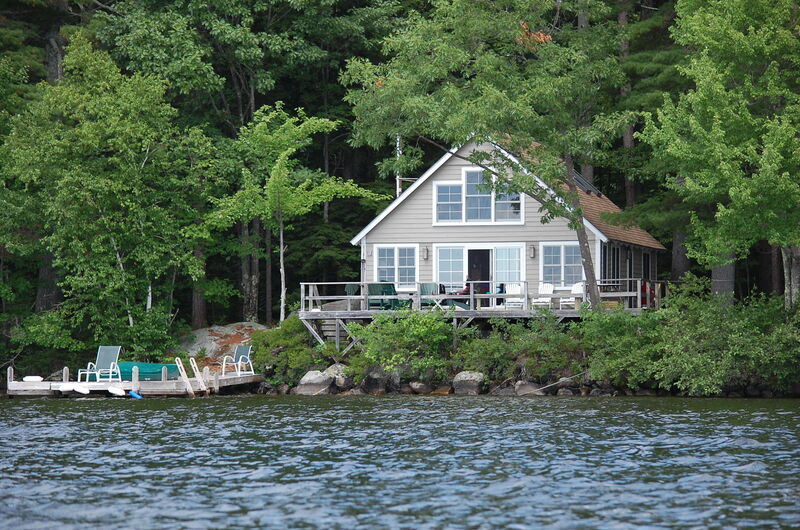 The spacious, recently renovated, main cottage sits on the lake's edge. From the deck and behind the sliding glass doors of the living room, guests enjoy a broad view of Great Pond and Hoyt's island. The living room has comfortable modern seating, a wood stove and generous sized dining table for playing card games and doing puzzles. 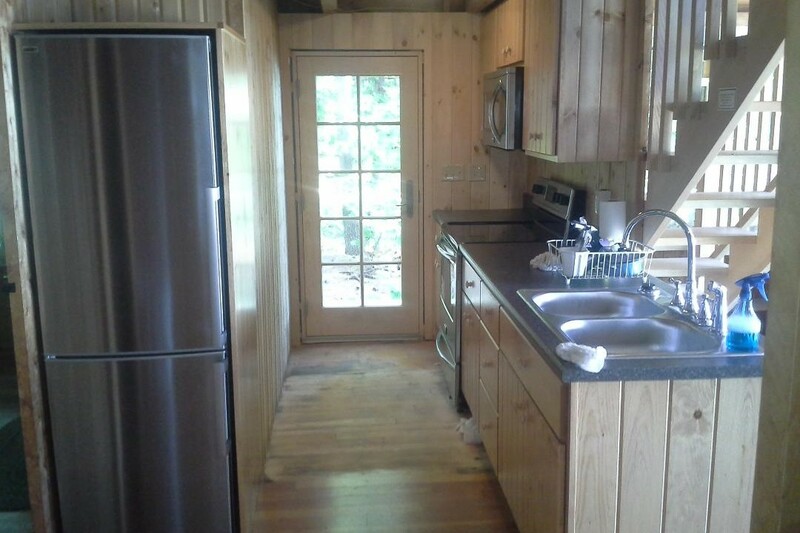 The recently renovated kitchen includes a stove, oven, refrigerator and other modern conveniences. There are two bedrooms on the first floor (one with a king size bed, the other with twin beds) with a full bathroom with shower. The second floor loft has a half bath and sleeping area with a king bed and two twin beds. To the east, right next to the lake, lies a remodeled one-room guest cottage. 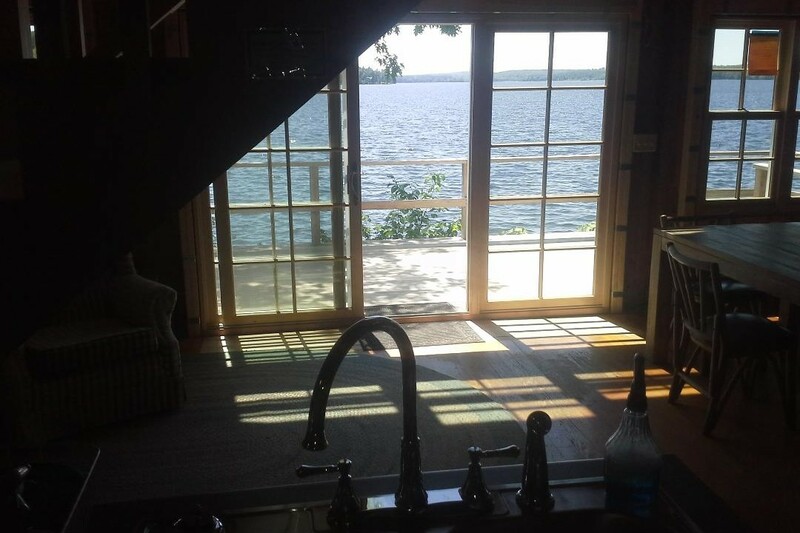 It has a queen size bed, a sitting area, a bathroom with shower, and an open porch overlooking the lake. A third small cottage sits behind the main cottage. 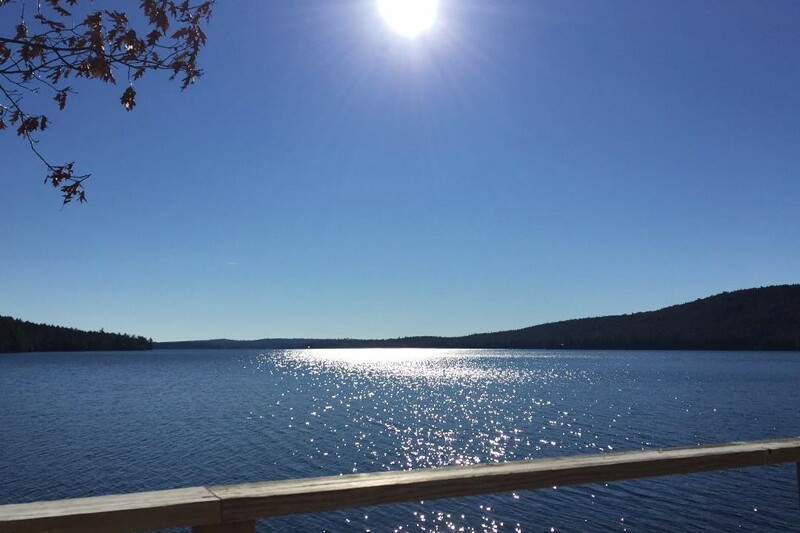 It has a deck with seating overlooking the lake, a bedroom with two twin bunk beds that can sleep four, a sitting room with a queen size pullout couch, and a bathroom with shower and dryer. At the dock, you'll find a canoe, kayak and paddle board.